The new GDPR regulations aren’t going to stop us sending emails but it might make us think more carefully about how we use email. Each and every email you send is a marketing opportunity. Have you thought of that? How’s that you might ask. 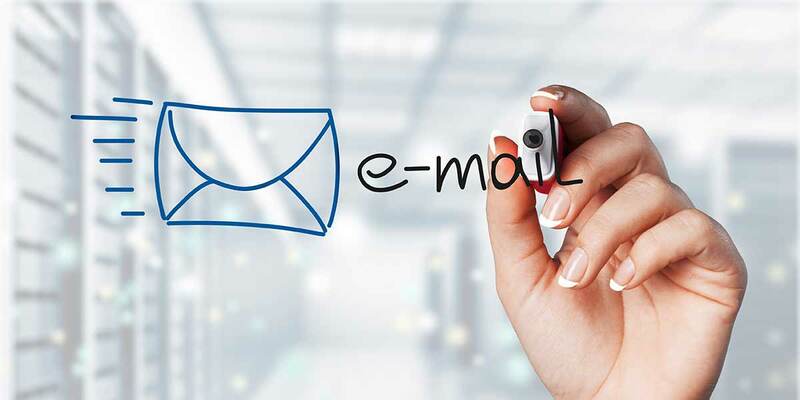 Well, the information you put in your email signature can help you grow your business. Imagine you get an enquiry through email and you then respond. What if you had a testimonial in your email signature from a happy client who’d bought the service or product from you. Do you think that might give you greater credibility and prompt the prospective client to buy from you. I think it would certainly help. Letters after your name? Do you have any? Are they after your name in your email signature? If not. Why not? Again this is something that adds credibility but it’s surprising how many professional business people that have qualifications that show a position, academic degree or accreditation. Your logo – Is it in your email signature. It should be. Be careful with this one though as not all email clients will show it. In my experience it’s better not to use it on a mobile. My Iphone email client for example doesn’t support it. What phone number are you using? This really is a general image thing that I’m always going on about. Mobile or land-line or both. For me as I’m office based, it seems to me that people in my target market would expect to see a land line number. It might be different for a carpenter or a plumber as your target market in this instance would quite understand why you could be contacted on a mobile number. It’s all about what your target audience would expect to see. It might seem a small point but all these things add up. You always need to be showing the right image to your target audience. Your address – Is it a home address or a business premises address? Again, think about what your target market would expect to see. A home address can scream “ONE MAN BAND”. Is this ok for you? Personally I think you could lose clients if you have a home address and you are trying to get to a corporate audience. Whatever you need to think whether or not it should be in your email signature. My email signature has a list of the recent websites I’ve built. Along with a link to my content marketing club. My thinking is that if someone emails me about a website, they may want to learn how to promote it. So, without me even saying anything, I can make it clear that I can help with marketing their business online. That’s it for this post. Some things to think about don’t you think? Like to talk more about this? Give me a call on on 01603 383477 or send me a message.